The University of Warwick, in England, has been ordered to apologize to an Israeli master's student and pay her £1,000, roughly $1,600, after a national higher-education adjudicator found that the university had caused the student "distress and inconvenience" by refusing to replace her adviser, who the student said had an anti-Israel bias. Tel Aviv stands apart as a hub for tech innovation thanks to one single overriding influence: the Israeli armed forces. Rothschild Boulevard has always been one of the grandest streets in Tel Aviv, with its broad tree-lined central promenade and elegant Bauhaus architecture. The cafes, kiosks and benches teem with young entrepreneurs who seem to survive on a diet of caffeine and wi-fi. 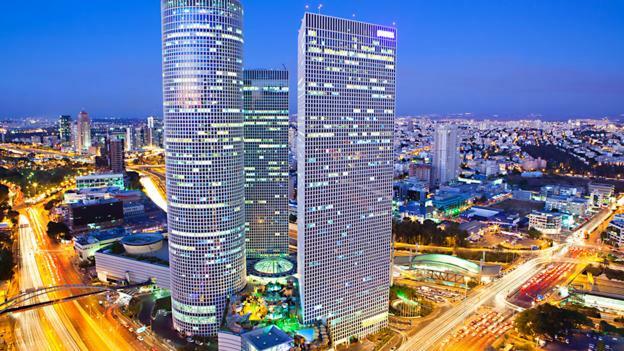 Of Israel’s 5,000 tech companies, city planners have counted 600 start-ups in the single square mile around Rothschild. Israel has more companies on Nasdaq than any country beside the US and China, and it attracts more venture funding per capita than anywhere in the world. Its tech sector employs 230,000 people in a population of eight million, earning more than a quarter of the country’s total exports. Just off the southern end of the boulevard is the Shalom Meir Tower – once the tallest building in the Middle East. A lift door in the corner of the mezzanine leads to a municipal library on the seventh floor that had been forgotten by all but its ageing clientele. In 2011, it was refurbished as a shared workspace for start-ups. The fourth group of 13 companies has just finished their four-month session, which includes meetings with potential partners, lectures by business experts, networking – not to mention a great view over the city's beach. The pattern is repeated all the way down Rothschild, where incubators and start-ups compete for space among the coffee shops and restaurants. There are similar tech hubs in many cities throughout the world, but Avner Warner, Director of International Economic Development at the Tel Aviv Global City Administration, says Tel Aviv stands apart because of a single overriding influence on early-stage Israeli companies: the Israeli armed forces. Inside the HQ of the Mamram, the Israel Defence Forces (IDF) technical support unit in nearby Ramat Gan, computer training course commander Capt. H (her full name is classified) says new recruits on a six-month intensive programming course study from dawn till night and are taught programming skills, teamwork, project management and – most importantly how to be creative. It’s like a school for start-ups. “When you do a degree in computer science you study the technical things," she says. "You study how to write a code, mathematics. We don’t focus on that. We focus on how to work in a team. How to understand what your client needs and make software that fits his demands. How to write good code that you will be able to de-bug and maintain." Tal Marian, founder of the TechLoft, a commercial shared workspace just off Rothschild, says the results of the military training are obvious. “Some of the military units work like a civilian organisation," says Marian. "They encourage entrepreneurship, the feeling that if you come up with a good idea that answers a real need of that unit’s mission, you will get the funding and manpower and the time you need." After years of helping to solve the nation’s major security threats, the challenges of gaming and mobile apps pale by comparison, he adds. Sometimes, the military technology connection is obvious. The miniaturised camera and power pack in the Given Imaging camera pill is based on equipment in the nose of a military drone, for example. Israel raced a decade ahead in the management and use of large data sets – or big data – that drive many consumer apps because of expertise developed by Unit 8200, the intelligence-gathering arm that is now the largest unit in the IDF. IBM has spent nearly $1bn (£640m) on four Israeli companies that all developed big data storage solutions: Storwize, XIV, Diligent and FileX. Earlier this year, Google acquired the mapping app Waze for more than $1 bn. The founders of Waze received their technical training in Israeli military intelligence. The giant Israeli tech firms Nice, Comverse and Check Point were all created by Unit 8200 alumni or based on technology originally developed by the unit. Across the boulevard, Yaron Tal is Chief Technical Officer of 6Scan, a website security start-up he founded with ex-army buddies. A white-hat hacker (one that works for non-malicious motives), since the age of 12, he was running his own web security consultancy by the age of 17, before being head-hunted for Matzov, the army’s cyber-security unit. Tal skipped university to work at a start-up before launching his own, but another important driver of the tech scene is the fact that Israeli university students pay only about $3,100 (£2,000) a year in tuition fees. They emerge from military service and three years of studying with zero debt, eager to take a year off to pursue their dreams. That youthful exuberance, combined with the rigorous military training in technology and project management, has found a natural home among cafes running down the centre of Rothschild. In 2012, when Cuba suffered its first outbreak of cholera in 130 years, the government and medical experts there were shocked. But software created by Kira Radinsky had predicted it months earlier. Radinsky’s software had essentially read 150 years of news reports and huge amounts of data from sources such as Wikipedia, and spotted a pattern in poor countries: floods that occurred about a year after a drought in the same area often led to cholera outbreaks. The predictions made by Radinsky’s software are about as accurate as those made by humans. That digital prognostication ability would be extremely useful in automating many kinds of services. Radinsky was born in Ukraine and immigrated to Israel with her parents as a preschooler. She developed the software with Eric Horvitz, co-director at Microsoft Research in Redmond, Washington, where she spent three months as an intern while studying for her PhD at the Technion-Israel Insitute of Technology.